Organised by the Hong Kong Trade Development Council (HKTDC), the 49th edition of Hong Kong Fashion Week for Fall/Winter wrapped up at the Hong Kong Convention and Exhibition Centre (HKCEC) today. The four-day fair (15-18 January) attracted some 14,000 buyers from 76 countries and regions. Featuring some 1,400 exhibitors from 13 countries and regions, the fair showcased the latest collections of international brands, garments, fashion accessories, fabrics and clothing accessories. 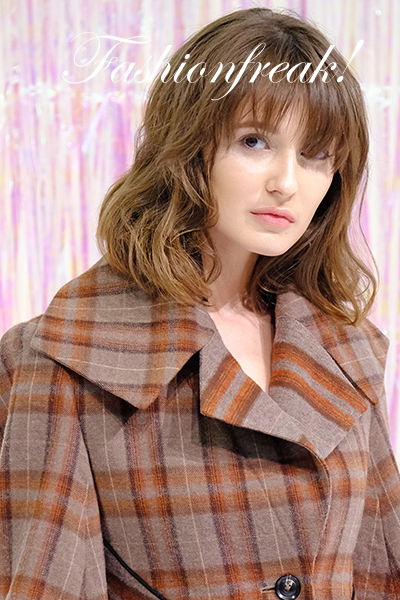 More than 20 fashion activities were staged during the four-day fair, including trend-forecasting seminars, buyer forums and a networking reception, as well as 13 fashion parades and presentations, providing the industry with abundant networking opportunities. HKTDC Deputy Executive Director Benjamin Chau said the fashion industry is expected to pick up soon as the global economy steadies and the retail market strengthens. "Hong Kong companies are highly adaptable," he said. "We saw Hong Kong companies launching a top international star’s namesake accessory collection at the Fashion Week, which received many enquiries. At this year’s Fashion Week, buyer numbers from Indonesia, Thailand and Malaysia saw encouraging growth, and a Thai buyer placed orders on the spot. Hong Kong companies should tap these opportunities amid optimism in emerging markets." Among companies participating this year was Hong Kong exhibitor Innee-Sedona International Ltd, which was appointed the sole Asia-Pacific distributor of the Céline Dion accessory brand. "Everyone knows that Céline Dion is a famous singer, but not many people in this region know about the existence of the Céline Dion brand," said Jennifer Chan, Innee-Sedona Managing Director. "We are making a global launch for the Céline Dion 2018 Fall/Winter collection through the Hong Kong Fashion Week. E-commerce companies from the Chinese mainland, Indonesia, Malaysia and Singapore are interested in buying our products, while buyers from Korea and the Philippines want to be exclusive distributors for their countries." She also said that an Australian buyer placed a trial order worth US$3,000 at the fair, while some buyers sought their help to contact Céline Dion, hoping to develop new clothing lines and other accessories for the brand. She noted that the fair provided an important platform for promoting the brand to international buyers and opening new business opportunities, and they plan to return to the fair next year. Thai exhibitor Jaspal, a locally renowned brand that operates some 300 retail stores with 15 own fashion brands in Thailand, also found business opportunities in Hong Kong. Viriya Athikiat, the company’s International Sourcing & Merchandising Manager, is responsible for sourcing for the Jaspal brand which runs a chain of 50 stores selling women’s "high fashion ready-to-wear". "I am visiting Hong Kong Fashion Week to find OEM manufacturers for ladies’ wear. I have placed an order worth US$75,000-US$80,000 with a Chinese mainland exhibitor from Huzhou for knit sweaters. Talks are underway with another mainland supplier for accessories such as scarves and trims with a potential order worth US$40,000-US$45,000." In view of the demand for sourcing in small quantities, the show has once again set up an hktdc.com Small Orders zone, featuring nearly 100 showcases and garment racks with about 450 products available for orders in minimum quantities of between five and 1,000 pieces. During the four-day event, more than 4,100 buyers visited the zone and some 6,400 business connections were established. And with the newly launched hktdc.com Small Orders (Chinese Mainland)&xnbsp;(http://xiaopiliang.hktdc.com), mainland buyers who placed small-orders could now settle payments in renminbi using AliPay, TenPay, WeChat Pay or China UnionPay conveniently. To offer year-round sourcing opportunities for fashion buyers, Hong Kong Fashion Week for Spring/Summer will be held on 9-12 July, while CENTRESTAGE will be staged on 5-8 September. CENTRESTAGE provides an ideal promotion platform for Asian and international fashion brands and designers, further solidifying Hong Kong’s position as Asia’s fashion capital.